Although it was released early on in the year, The Witcher 3 is still a top contender for Game of the Year honors here at Press Play. 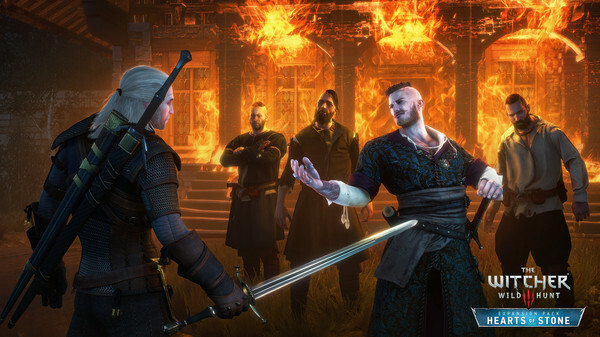 It was postponed a few times, but once it was finally released it was well worth the wait and a fitting finale to Geralt of Rivia’s storyline. That’s regarding the main story, because we can still expect at least two large DLC campaigns to be coming our way – the first of which is now upon us. 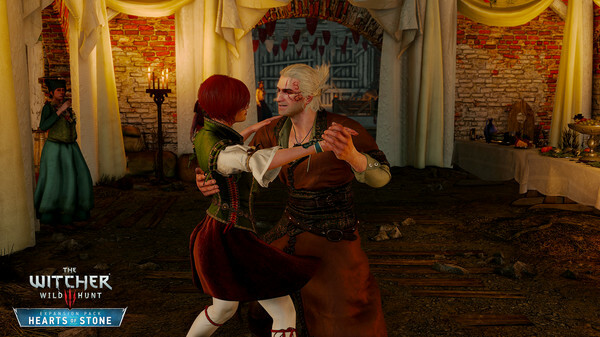 Hearts of Stone puts us back in Geralt’s shoes, our favorite monster slayer for hire. This time, he’s hired by a mysterious man to defeat a bandit captain who possesses the power of immortality – no small feat. The story which unfolds is, in usual Witcher fashion, full of twists, deceit and dangers – and features plenty of memorable scenes. It’s not anything drastically different and the experience fits in seamlessly with the main storyline in the base game, so to a large degree this is more of what you know and love if you were a fan already. Subtle changes include some new characters and creatures, as well as rune- and glyphwords to help you enhance your weapons’ attributes. What definitely hasn’t changes is the quality of the writing, which is once again top notch. What’s also worth pointing out at this point is the truly amazing value for money that CD Projekt Red is giving us with Hearts of Stone. While many DLC addon campaigns for other games run about 2 to 3 hours, Geralt’s new quest will easily last you at least 12 hours. That’s more than the running time that many games offer that are being released at full price, and it’s 12 hours of high quality content as well. Hearts of Stone was designed for experienced players – it’s not a standalone game that eases you into the story gently with an hour of tutorials. In fact, you’ll need a level 30 character – something you’re likely to have if you’ve completed the main game already. Just in case you didn’t (what are you waiting for?) or rushed through and never reached level 30, you can play with a predefined level 30 character instead. Still, to enjoy the game fully I’d recommend using a character you’re developed and customized according to your own preferences. This should be an instant buy for players who enjoyed The Witcher 3 the first time around. It’s essentially more of the same, but that’s definitely not a bad thing and the story in Hearts of Stone can easily stand on its own. Priced at under 10 euros/dollars, this package offers excellent value for money, and let’s also not forget that CD Projekt Red previously released a large collection of free DLC as well in the last few months. Excellent fan service all around, and Hearts of Stone deserves the extra investment because of its wealth of new content and the quality with which it’s being delivered.